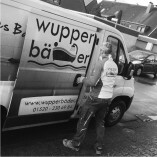 Wupperbäder offers a professional service. Wupperbäder monitors customer satisfaction during the project. Wupperbäder is clear in terms of communication.